Damn Mighty Mouse. In just another example of MMA showing no sympathy, for no man, here’s Mighty Mouse’s broken foot. Demetrious Johnson went from being in MMA’s GOAT debate to hobbling around on a really busted foot versus Henry Cejudo at UFC 227. There are almost no graceful losses in this sport. Mouse never lost when fighting at 125 pounds, broke his foot midway through his title defense against Cejudo and still almost dragged himself to getting his hand raised on Saturday night. For most of his run as flyweight champion, it never felt like Mighty Mouse got a 100% promotional push from the UFC. When the UFC signed their deal with Reebok, Johnson lost his sponsorship with Xbox. And when was the last time a Johnson title fight was placed on a card that the UFC really invest in? Hopping around without his title for the first in six years, Mouse was not lying when he said he hurt his foot versus Cejudo. Johnson didn’t just stub his toe, his right foot blew up to the size of a young Sasquatch. I mean if Hollywood is still out of ideas for original content and they want to remake Big Momma’s House, it could star Demetrious Johnson’s foot. 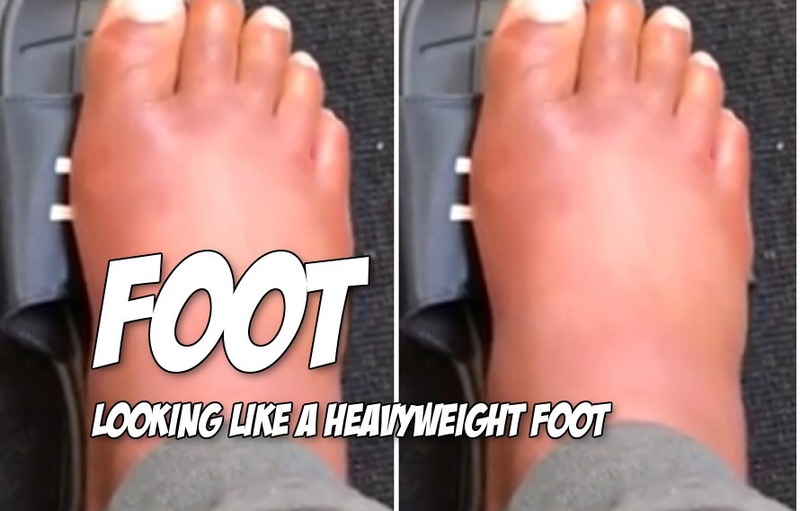 Check out the video below where Mighty Mouse shows off his new heavyweight looking broken foot. The swelling is real and so is our respect for Johnson, who some how finished his fight with Cejudo with that mutated foot around his ankle. Just look at that foot, its a good foot.